Apple recently started offering free apps and books for download from within their Apple Store iOS app. The latest freebie is the photography app Landcam, normally priced at $0.99. 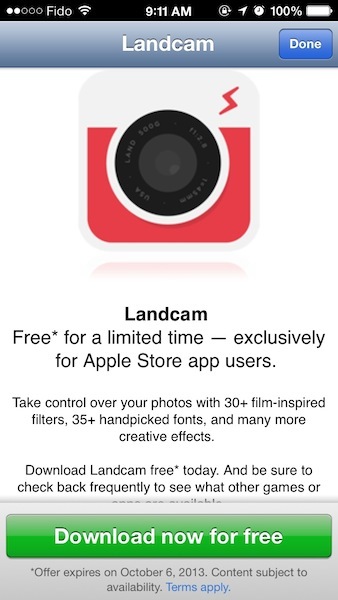 Just launch the Apple Store iOS app and you should see Landcam as the freebie. Download the app via the link within and you’ll get it for free!